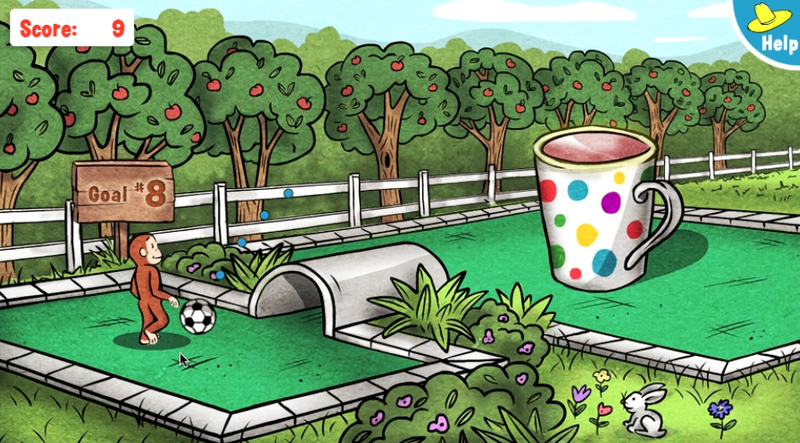 This fun html5 game designed for the Curious George website mixes the outlandishly fun obstacles of mini-golf with the gratifying “kick” of soccer. 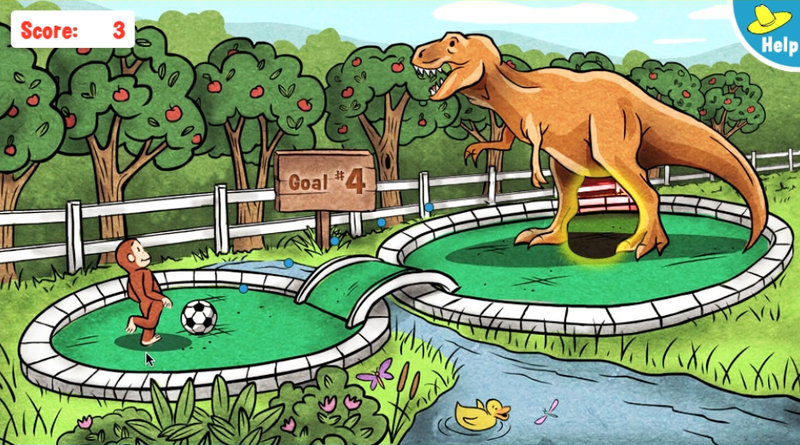 Kids can pull George’s leg back to aim and punt the soccer ball through a number of zany courses including a dinosaur, a birdhouse, a hippopotamus, a donuts pyramid, and a rocket ship. For both desktop and mobile devices this game truly benefits from the Angry Bird’s style sling-shot mechanism for pulling George’s leg back and then releasing, letting the ball go flying!